« Gig Guide Is Back!! Tickets There is experiencing some nostalgia today. It may only be two and a half years since we first got drunk, watched Eyebrowy and decided to set up myspace.com/ticketsthere for a goof, but it seems like a hell of a lot longer. One of our earliest memories of the MySpace was befriending a young talented band from North Dublin called Bravado. We’d see the lads compete in the Murphy’s Live 2008 competition against another local Dublin act, Superjimenez. Tickets There was only at the show to see the special guest headliners, The Future Kings of Spain but as soon as the barley legal youngsters took the stage, we were taken aback. They were incredibly young but they played Superjimenez of the stage. We couldn’t believe how good they were, especially since their competitors were a well seasoned band that were still pale in comparison to these school children. In the end, Branado went on to win that round and the following round but got knocked out in the final by…well, who remembers? Two years on, we decided to revisit the lads and see how they’re getting on and it turns out, there’s been some changes. Firstly, they’ve changed their name to The Murder Clues and they sound a little older but that same upbeat sound is still there. They officially released their first single back in September and we’ve had it on repeat now for about thirty minutes and we’re liking it. Things That By Myself I Can’t Find is filled with guitar leads, catchy choruses and excellent musicianship. It’s not the cleanest recording in the world but the dirtiness suits the style as the band blare out four minutes of guitar driven indie rock. The lead singer’s (Brian) voice gets stronger and more distinctive with every year that passes and if you’ve seen the man live, you’ll know he casts an imposing front man stance on stage. He controls the crowd well and delivers the songs with as much force as he can muster. The word shy has never been uttered near this guy. As for the band, these guys are tight. There’s no let up or staleness in the track despite its length and style and you could easily see this number topping the charts if it was released by a more established act. Basically, these guys are on the right track to make a real name for themselves on the music scene. They’re younger than most of the bands out there but they’ve already notched up an impressive amount of experience and it won’t be long before they unleash their full potential. Check back for a review of the bands new single, Ladies & Headbangers as soon as Tickets There picks up a copy and don’t forget to check out their MySpace to hear Things That By Myself I Can’t Find by Clicking Here! Annnddd, the single will be launched this Thursday at Andrews Lane Theatre. 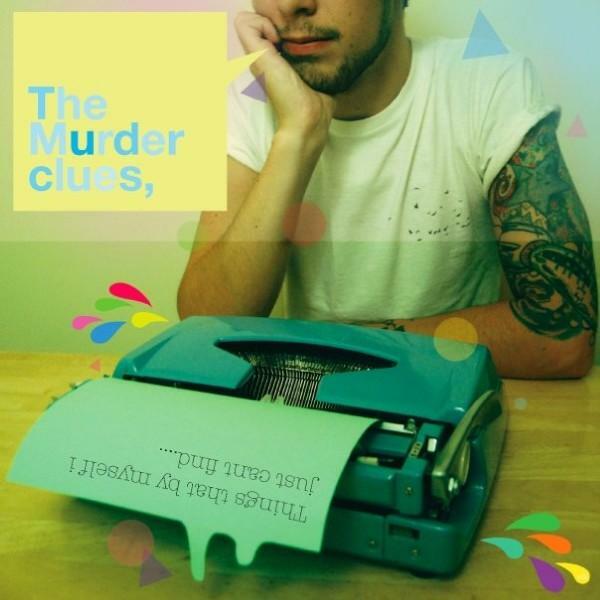 This entry was posted on February 15, 2010 at 12:15 am and is filed under IRISH NOISE!, Music, Single Review with tags Bravado, The Muder Clues Things That By Myself I Just Can’t Find, The Murder Clues, The Murder Clues Ladies and Headbangers, The Murder Clues review, The Murder Clues reviews. You can follow any responses to this entry through the RSS 2.0 feed. You can leave a response, or trackback from your own site. Cracking band. Great tunes too. Featured them on the 1st pod and I’ll definitely be putting them on it again.